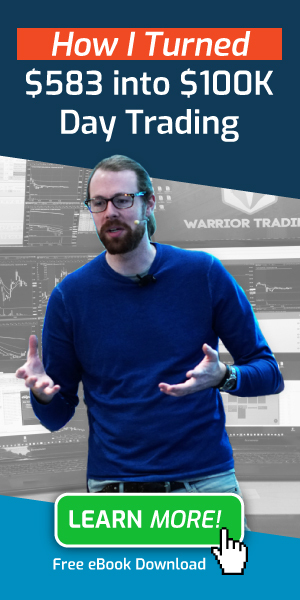 Warrior Trading | Robinhood Review 2019 - The Real Cost of "Free Trades"
Robinhood is a FREE “No Commissions” Broker. The first of it’s kind! Unfortunately, it appears Robinhood made the decision to go with zero commissions at the sacrifice of features that have been standard on every broker for many years which makes it unsuitable for active traders or investors. UPDATE 10/24/2016: Since this review was published Robinhood App has taken steps to improve user experience (UX), and add features. As is common with many new brokers, new features are consistently being released as they are developed. 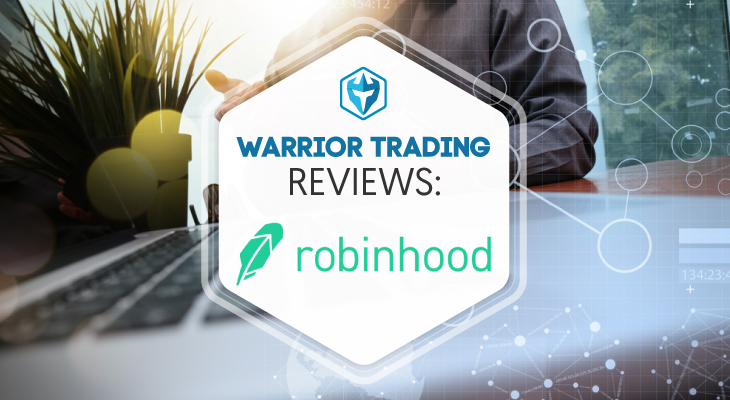 Some of the important features include Robinhood Gold, which offers margin and leverage for more buying power. While this does improve usability, the lack of Level 2 data and mobile only app still make this platform difficult for day trading. UPDATE 1/30/2018: Robinhood has now introduced cryptocurrencies. More information below! Robinhood App has gained the attention of part-time traders and investors for it’s “Free Trades” commission structure. It’s sure does sound appealing! Anyone who has been in the market understands commissions are an expensive part of the business. Robinhood states on their website “Our mission is to democratize access to the financial markets”. For those who aren’t familiar with how commissions work, commissions are payments to your broker for the purchase or sale of stock. Generally speaking, commissions make up the bulk of a brokers profits. Brokers also profit from the interest collected on cash they are holding and from the interest gained from lending traders money on Margin. Commission fees generally range from $3.95-19.99 per trade. 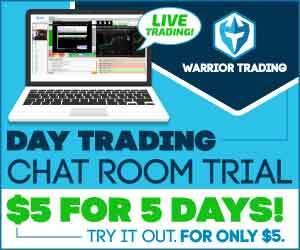 An active trader that places 10 orders in 1 day could be looking at anywhere from $39.50 to $199.90 in daily commissions. Clearly, these add up over time and eat into your profits. 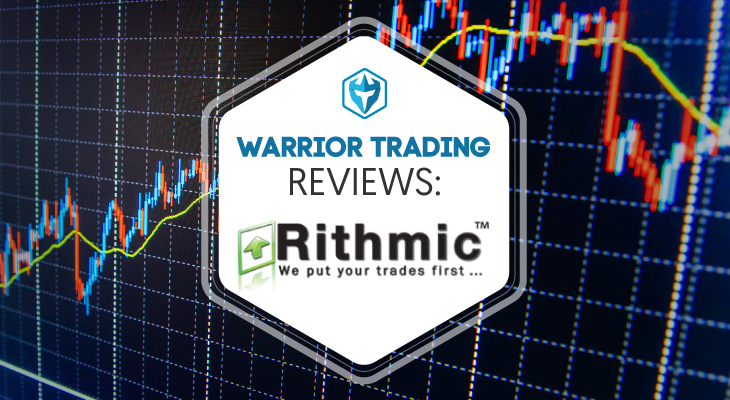 We highly suggest traders check out Lightspeed, Tradestation or TradeZero before deciding on a broker. If you are trading at a firm like Ameritrade or E*Trade, you could easily be paying $10-15/trade. That means it’s not unlikely for an active trader to generate $200 in commissions each day. Just think, $200/day is $52k/year. And that is going straight to the broker! This makes any reduction in commissions an appealing offer. When Robinhood first started advertising their Free Trades commission structure I immediately thought, “what’s the catch?”. Robinhood, as advertised, charges $0.00 commission on buys and sells. In their Fees Section they note that traders still have to pay the FINRA and SEC fees on the sell orders. These generally amount to less than 50 cents per trade, so it’s very marginal. The biggest advantage to Robinhood is the Free Trades. That’s their selling point, but it’s the only selling point. Robinhood is lacking several critical features for day trading. They don’t offer a Level 2 or Time & Sales window. That means you can’t scalp momentum trade breakouts by watching the big sellers thin out, or jump in long because you saw that 100k share bidder pop up. A day trader cannot actively trade the markets without Level 2 or Time & Sales. It’s like a carpenter trying to build a house without an saw. Sure, you could do it, but it would only make you slower, less competent, and less effective. So it doesn’t make any sense. Secondly, Robinhood currently doesn’t allow leverage. Trading on leverage is a controversial topic. It’s trading on borrowed money. In 2016 I took a $1k trading account, and aggressively using leverage, I grew that account to over $8,600.00 in less than 1 month. That wouldn’t have been possible with Robinhood for 2 reasons. The first reason is that they don’t allow leverage, and the 2nd reason is the Pattern Day Trader (PDT) Rule. This means you can’t actively trade on margin unless you have a $25k min balance. You can actively trade with a cash account, but you have to wait 3 days for each trade to settle, which effectively makes it so you can only day trade 2-3 times/week. Lastly, Robinhood doesn’t allow short selling. This means you can’t short stocks, profit as they go lower, and then buy back shares at a lower price. When you put together this list of cons, you find yourself with an incomplete broker. It seems they made the decision to go with zero commissions at the sacrifice of features that have been standard on every broker for many years. While mobile apps are extremely popular right now, trading from a mobile app is a horrible user experience. Robinhood, in all fairness, has done a great job with user experience, but from a practicality standpoint, it still fails to offer the speed necessary to be a day trader. If you want to day trade, Robinhood is not the solution. In my opinion, Robinhood App is only suitable for part-time traders and investors who make fewer than 3-5 trades per week. Part-time traders are often going to be working professionals who want to take a few trades on the side. Perhaps a doctor who wants to add to his $CELG position, an accountant who wants to add to his $VRX short, or a banker who wants to add Warren Buffett’s latest stock choice. These individuals all have one thing in common. They are not day traders. They are taking positions and planning to hold them for several days at a minimum. As a result, they don’t need Level 2, Time & Sales, or Hot Keys. They also probably won’t worry about not being able to short stocks or trade with leverage. So they may not take issue with the lack of those features. But of course on the other hand, since they are only trading 3-5 times per week, commissions were never that big of an issue for them. And this is the reason Robinhood App fails to catch my interest. This is only desirable for people who feel they could use it to save $50-75/week, and that has never been enough money for me to justify changing brokers, and I doubt it would be enough for the working professionals who would be the best fit for Robinhood. In short, it’s not suitable for active traders, and passive traders don’t need it. 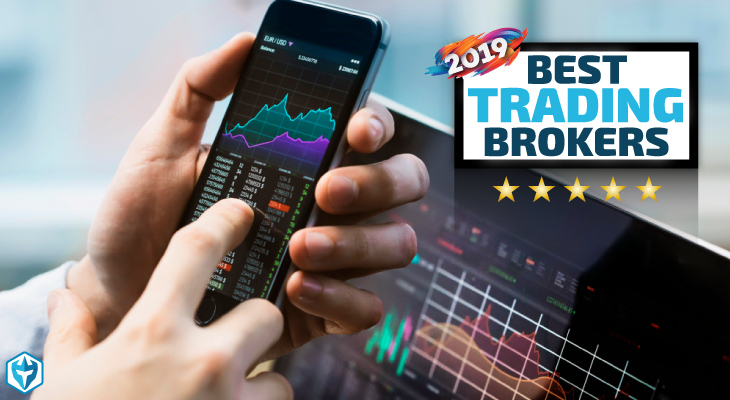 Most passive traders or investors will happily continue using Ameritrade or E*Trade for the convenience of online bill pay, credit and debit cards linked to the account, and an advanced desktop platform should they decide to dabble in active trading strategies. For those individuals, the extra commissions with full services brokers is worth the cost. To read about our suggestions for the Top 3 Online Stock Brokers, check out this blog post. 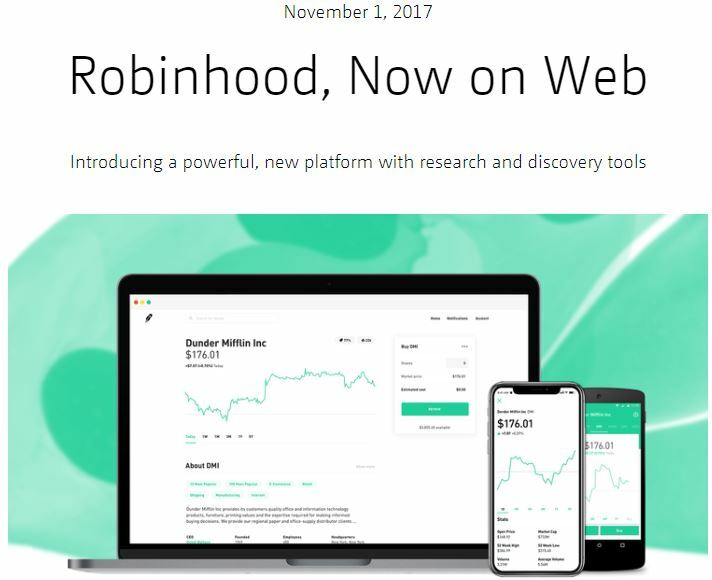 In November of 2017, Robinhood announced the introduction of a web trading platform. The platform was realized after 2 years of research which involved chatting with industry experts and investors. During development, Robinhood developers had the following objective in mind: to develop an amazing web trading platform that is able to cater for a wide variety of investment and financial needs. 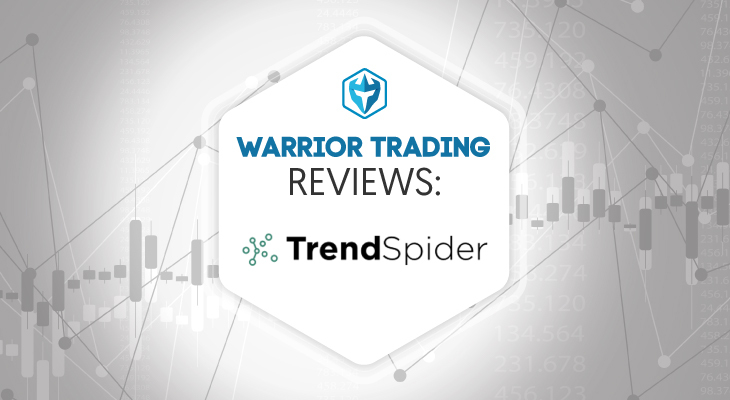 The brand new web trader is now enriched with extensive discovery and research tools designed to help investors and traders make informed trading decisions. Although Robinhood has announced this intuitive web trading platform, it will be providing access in waves. Since Robinhood launched its zero-fee stock trading app, not only has the company been able to transact over $100 billion and garner 3 million users but they have saved users over $1 billion in trading fees which is pretty impressive. Introducing Collections, a new feature available on Robinhood for Web. Basically, the feature enables its users to discover the latest stocks. To help traders and investors locate stocks and options they are interested in, Robinhood organizes the assets by sectors such as social networks, gas and oil and entertainment. They have taken a step further by adding the following categories – Female CEOs and 2017 IPOs among others. The feature is designed to be interactive which makes it easy for traders and investors to sort through. Users also have access to side by side asset comparisons. This makes it easy for them to select which asset to invest in and what trading strategy to use. 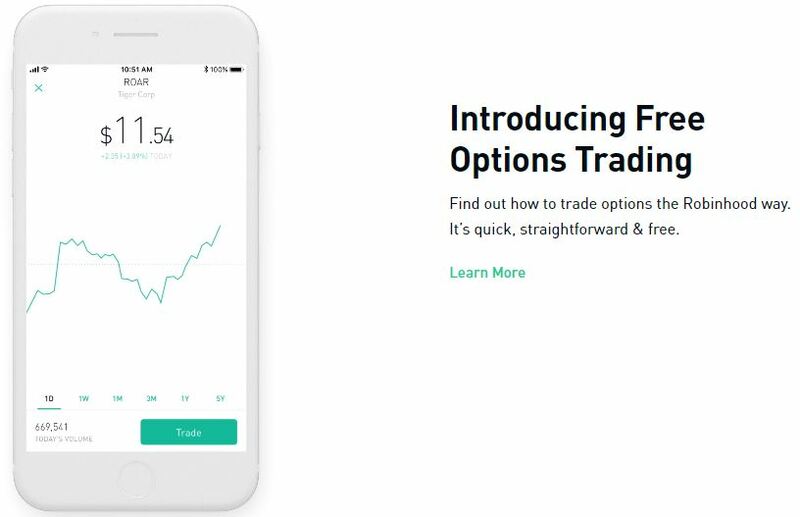 Option trading will be available on Robinhood for Web as of 2018. At the moment, they are providing early access and once you sign up, they will release option trading by sending a card to your app and an email. Both services are designed to provide you with an instructive guide on how to apply for Options. Start searching for the security (stock) that you would like to trade options for. To search, simply click on the magnifying glass icon on your home page, select the name of the stock you are searching for and click “Trade.” Once you are done, click on “Trade Options”. Breakeven Point – this is the point where a stock must trade at expiration in order to break even. Takes into consideration the Option’s premium. Break Even % – refers to the amount an underlying stock requires to transition from the present to expiration in order for investors and traders to break even once they select the buy strategy. It is important to understand that not all stocks have options and this is due to regulatory standards. As a technology driven brokerage with less overhead, Robinhood announced that it will start offering cryptocurrency trading on its platform. In the last four days since the announcement was made, more than 1 million interested users have joined Robinhood’s waiting list. The first group of customers will enjoy the new service which will be first available in 5 states – California, Massachusetts, Missouri, Montana, and New Hampshire – starting from February 2018. This service will be rolled out to other states in waves. The good news is that Robinhood can bump you up the wait-list if you do one little thing – invite your friends to join. Not only that. You stand a chance of getting a free stock like Apple, Ford or Sprint. The service is being introduced at a time when the cryptocurrency community is experiencing a downward trend especially in terms of cryptocurrency price. At the start of January 2018, the South Korean government announced that it had banned anonymous trading of cryptocurrencies. After the announcement, the price of Bitcoin plunged by 48%. Baiju Bhatt, Robinhood’s Co-CEO announced that the company which is popular with millennials will act as a broker dealer and not like a traditional exchange. The company is planning to partner with large institutions in order to acquire virtual currencies on behalf of their customers. The reason Robinhood ventured into cryptocurrencies is to provide low cost trading services designed for millennials who are in search of diverse digital products. 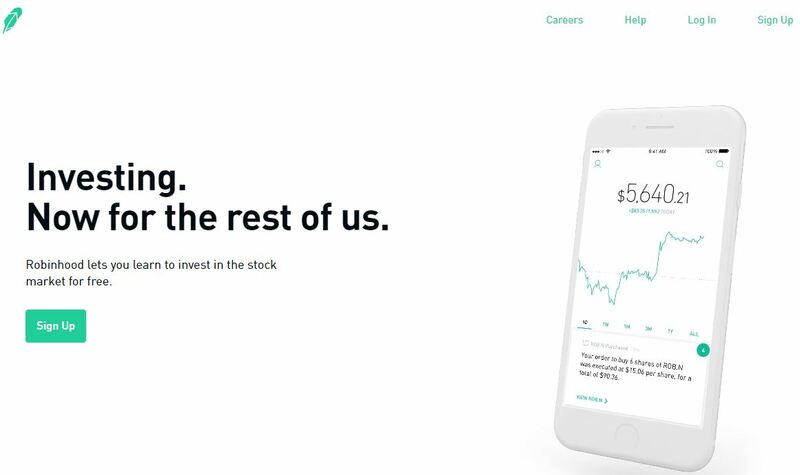 What you ought to know is that Robinhood is making this move a year after it attained its “unicorn status” finally becoming the preferred brokerage for millennials. Instant deposits – cryptocurrency traders will be able to make bank transfers totaling to $1,000. The funds will be made available immediately in the user’s account. Additional funds will be made available via ACH transfer system. Security – to ensure your personal information and digital assets are protected from malicious people, Robinhood will offer a secure platform protected by SSL and 2-Factor Authentication among other security protocols. Round the clock trading –As from February 2018, Robinhood will limit cryptocurrency trading to Bitcoin and Ethereum even though it will be supporting 16 cryptocurrencies. More cryptocoins will be tradable later on. As a brokerage app, Robinhood will extend the app’s functionality to cryptocurrencies. This means trading will be in one place together with stocks, ETFs and options. Overall, Robinhood has improved its service by quite a bit but it still doesn’t make up for some of its shortcomings that day traders must have like hotkey capabilities. So unless you are a passive investor, this app is not for you and you’re better off finding a broker with cheap commissions like TradeStation, TradeZero or Lightspeed. I have been using Robinhood for nearly three months now. I was also attracted to the zero commission structure they have. At first, I felt that having to wait 3 days for funds to settle was a pain but then I looked at it in a positive light. It forces you not to go all in but spread your capital across a weeks worth of trading. Since then though, I have upgraded my Robinhood account to Robinhood Instant. This allows you to have instant access to your trading capital without having to wait the 3 days for funds to settle. You’re still limited by the PDT rule but overall I think Robinhood is a good tool for those with small accounts. Probably one of the worst factors since I have used Robinhood is technical issues. Twice I have been in a trade where I was unable to get out of it because the app was experiencing technical difficulties. Very dangerous for short term trading! Overall, I think Robinhood could be really great for swing trading and could potentially be good for a little part time day trading but then again, they didn’t design to app to be used by day traders. wow… if you can turn 1k into 8k consistently in under a month..
For a new to investing person, ive been using Robinhood for 3 months now. I’ve doubled my money already and I’m thrilled. I bought 5 shares in galt as a joke cuz it was 1.20 a Share at the time and now it’s rising fast. And serepta, 1 share, has also doubled for me. I only make 8.80 an hour so the app is sort of good for me. I have a Roth Ira with Ameritrade and learning how to invest with Robinhood helps. I only have 35 dollars in my roth but we all start somewhere. I hope to invest and grow that Roth huge before I retire in 22 years. Better late than never. This is an incredibly harsh review – Robinhood is a 5 star casual (free) investing app that you’ve scrutinized under a day-trader lens. The application breaks most barriers of entry facing casual traders, no middle man, no fees, instant buys, extremely simple UX, and lightweight UI. You don’t explain why Robinhood fails the speed test, you also don’t explain why your cost/value results in 1 star. Cost is $0, and yet you’ve still found a way to slam the app. I am retired being charged $500 + commisions amonth to take care of my nest egg. With the understanding if they loose my money that’s just the way the cookie crumbles. Along comes Robinhood and gives me the option of Placing my egg in a fdic account and use my idle time to study, research and invest with the savings from the management fees. The cost? 0.00. I might not get rich but I won’t get any poorer at the hand of someone else and I have enough to be comfortable, go where I want, when I want and even help others on the way. Kinda like Robin hood. Well how do THEY make money..How do they stay in business..Nobody around Wall Street is in business because they want to help the poor guy. They will take your money in a heartbeat and not think twice about it. That is fact. Robinhood does what they say they will do-commission free stock trading on a mobile device. They don’t have all the options that other brokers have, but they also don’t charge for their services like the other brokers do. Wow, Robin Hood is not for Day Traders and professional investers! Why would you review it as such? Do your homework and stop creating deterrents for investors who rely on fees to help with thier over all investment amount. Not everyone has $25,000.00 to through around. Robin Hood is Great for Indepent investors who wish to be frugal and Maximize all funds into investing by not waisting thier money with every little fee, that adds up. It’s not set up for Day traders or true Professionals, who depend on time for fast execution of trades. It’s best with the Long term investors, think Warren Buffet. The main down side is that the app needs improvement, But it’s worth the trade off. Never before in history has “The little guy” investor, been able to join in with the rich for free… Take advantage! It even offers Free shares if you set up a link like this. Nothing to lose but all to gain! Are you kidding me!! Robinhood is awesome!!! Free trades!!!! If I want to buy a stock, I transfer money from my bank and INSTANTLY buy the stock! I’ve never had to wait to buy or sell. I was with TDAmeritrade for years, and Sharebuilders. I hated them charging me all the time. This Robinhood app is so easy to use!! I’ve called them a couple of times on the phone to ask questions and they are so friendly and patient!!! 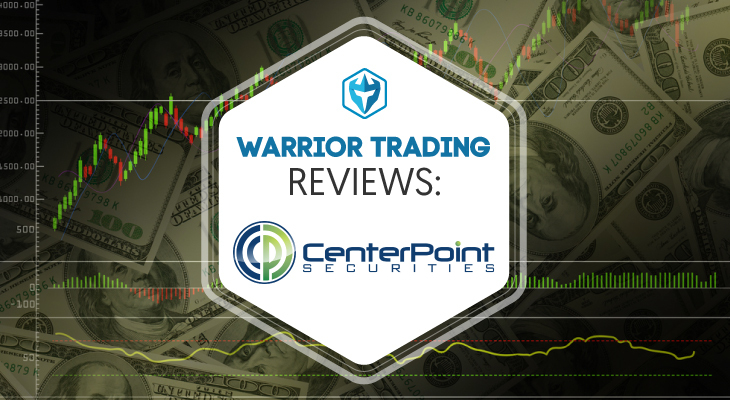 This is the BEST company in my opinion for buying and selling stocks!! Agree with everyone else, Robinhood is not a day trading tool., and reviewing it under that category is not right. All was good with Robinhood until I wanted to withdraw money. I clicked withdraw typed in my full withdraw amount it said I could withdraw $27,188. Clicked withdraw and then a notice pops up, withdraw disabled. I call, that tells me to email support. I email and it’s been 2 weeks with no response while they hold my money hostage. Oh I forgot, I looked on the next day to test and see if it was a Glitch and I see a notice, account closed. Still no response… No call, and I’m frustrated.